We have a large and varied fleet of sailing dinghies available during lessons or available to for hire for your own adventure around the islands. Each craft have their own merits depending on the sailor’s ability and the weather conditions at the time. The Sailing Centre will happily help guide you to a boat that will be suitable for your requirements for a fun day out during your holiday on the Isles of Scilly. 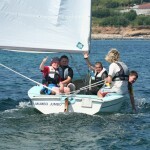 Other dinghies in our fleet include GP14, Laser, Foxer, Laser Fun, Hobie 15. 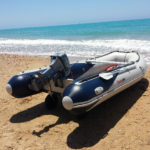 Please get in touch if you would like more information, or if you need help choosing the best boat for you.